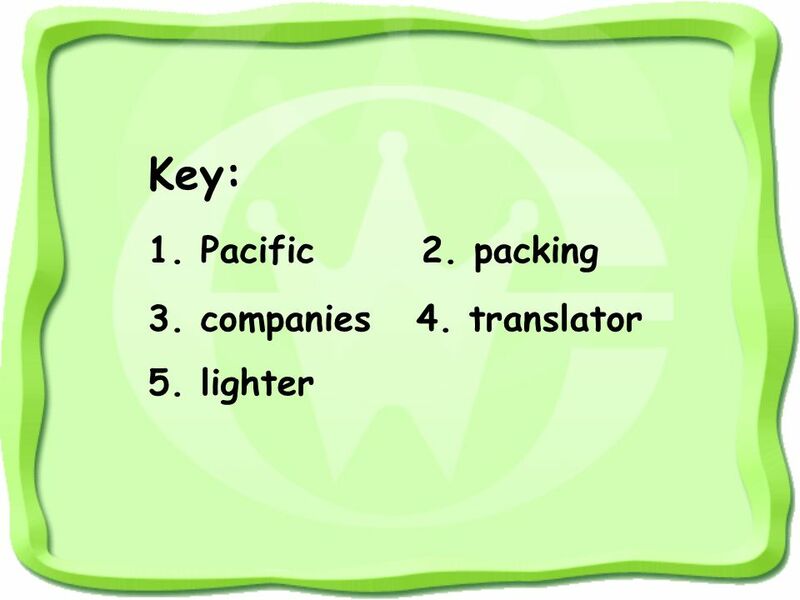 6 A: Where would you like to go? B: Id like to go somewhere warm. A: Hmm … How about Hainan? B: That sounds great. I hope to have a relaxing vacation. A: What else can you tell me? B: I dont want to spend too much time on the way and I dont like flying. 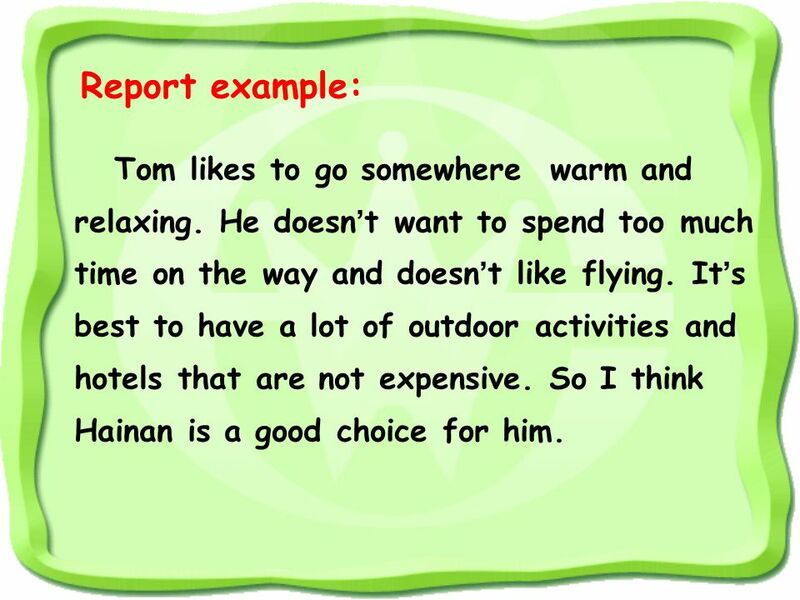 2c Working for a travel agency. 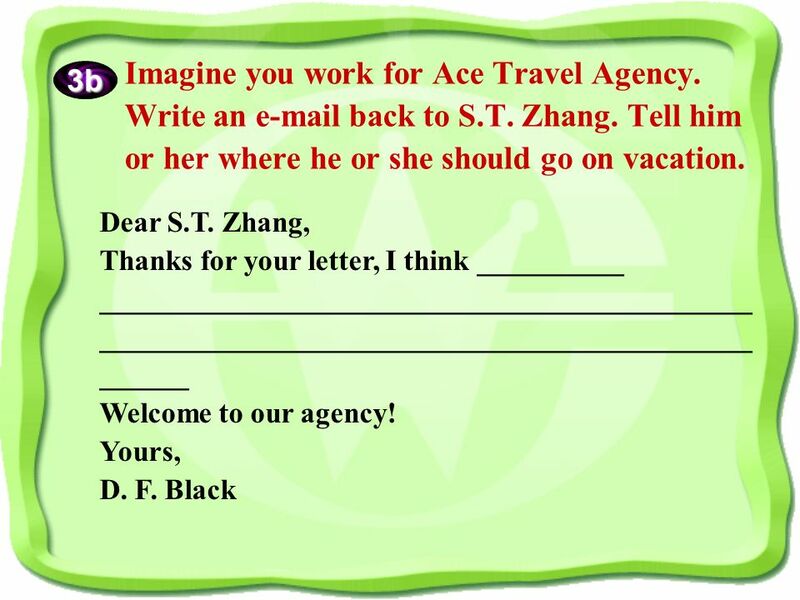 12 1.I hope you can provide me with some information about the kinds of vacations that your firm can offer. 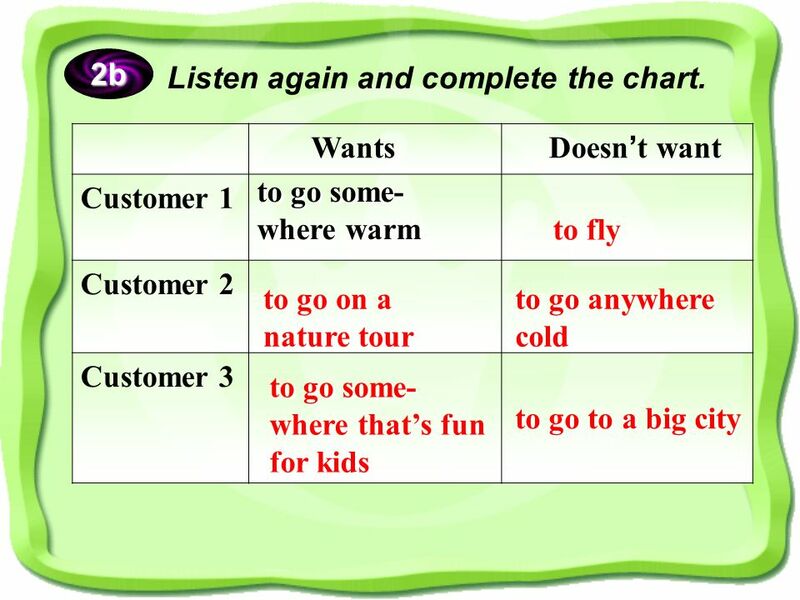 (1) I hopethat your firm can offer (2) provide, …… ……, provide sth. The school will provide tents, but we must bring our own food. provide sth. for sb. provide sb. with sth. They provided food and clothes for the poor. = They provided the poor with food and clothes. 13 (3) offer …… offer n. They offered a new proposal. offer sb. sth. 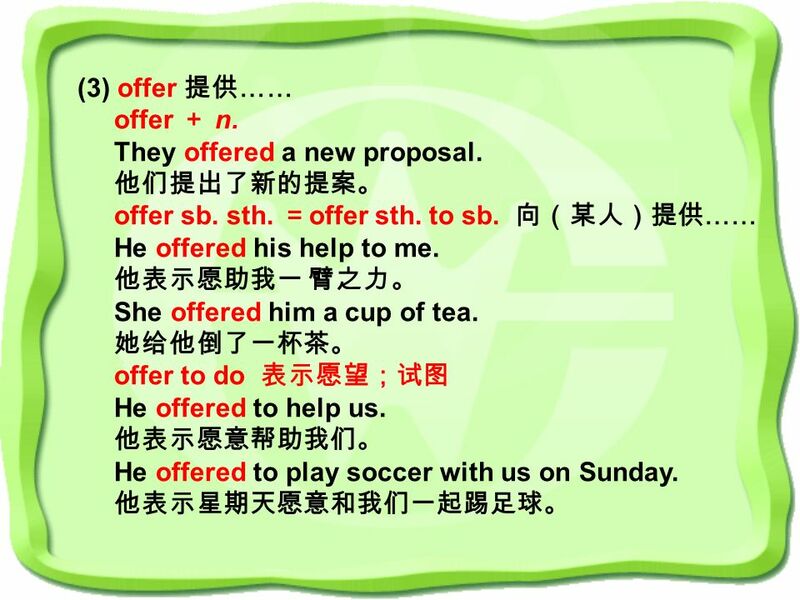 offer sth. to sb. …… He offered his help to me. She offered him a cup of tea. offer to do He offered to help us. He offered to play soccer with us on Sunday. 14 2. We would like to travel to an exciting place, and we dont mind how far we have to go., (1)exciting excite,-ing excited excite -ed-ing exciting -ed excited The audience were deeply moved when they saw the moving film Titanic. 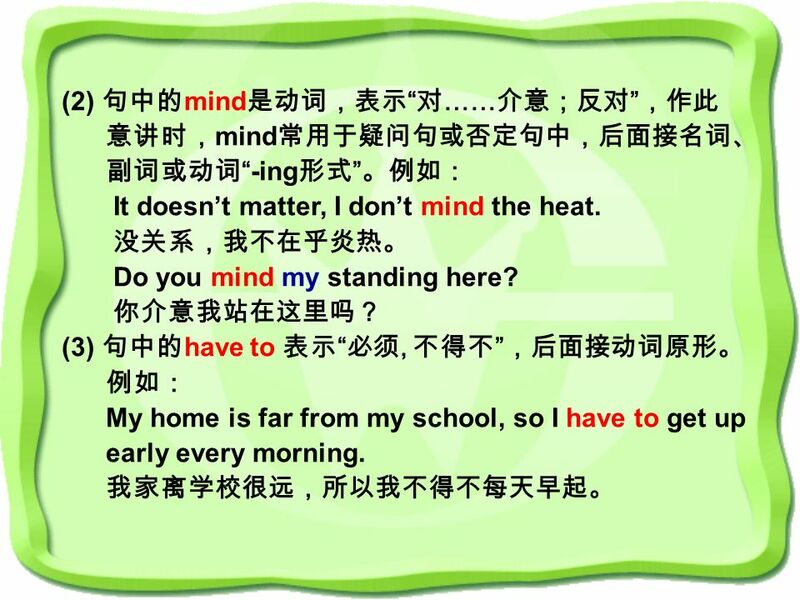 15 (2) mind …… mind -ing It doesnt matter, I dont mind the heat. Do you mind my standing here? (3) have to, My home is far from my school, so I have to get up early every morning. 16 have to must must have to have to have to must I have to go home early this afternoon. 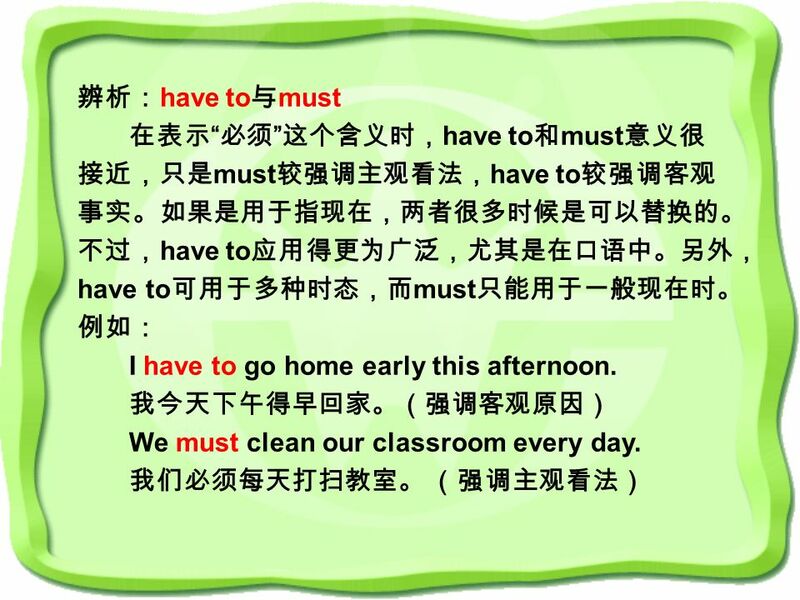 We must clean our classroom every day. 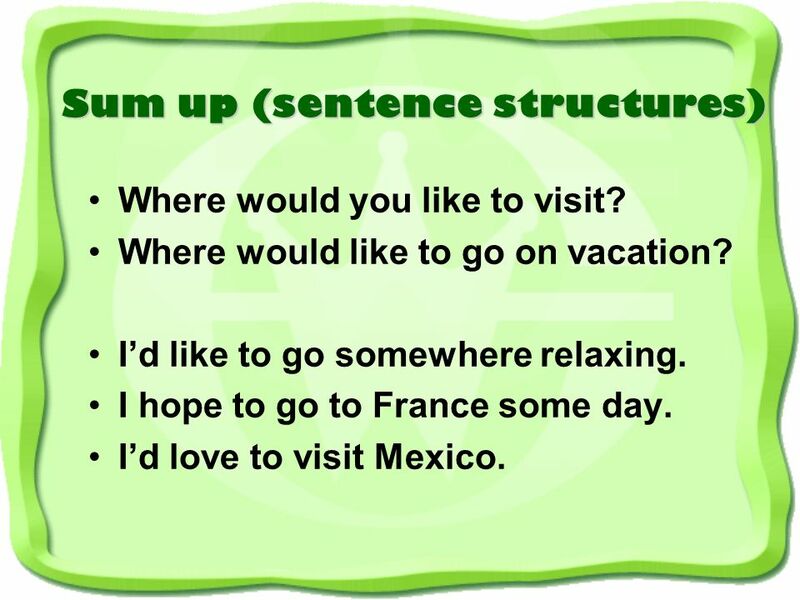 20 Sum up (sentence structures) Where would you like to visit? Where would like to go on vacation? Id like to go somewhere relaxing. I hope to go to France some day. Id love to visit Mexico. 21 1. The ______ ( ) is one of the four oceans on the earth. 2. At that time, she was busy ______ ( ) her clothes. 3. A lot of ______ ( ) have been built in our town these years. 4. My dream is to become a ______ ( ). 5. The box is much ______ ( ) than that one. 23 1. Id like to visit the Summer Palace for the next May Day holiday. ( ) _____ _____ you _____ to visit for the next May Day holiday? 2. This is the shop. I always go shopping in this shop. ( ) This is the shop _____ _____ I always go shopping. 3. Shes willing to help others in any way she can. ( ) _____ she _____ _____ help others in any way she can? 24 4. Hold on to your dreams, and one day they may come true. ( ) _____ you _____ on to your dreams, one day they may come true. 5. Shes never been to London. ( ) Shes never been to London, _____ _____? 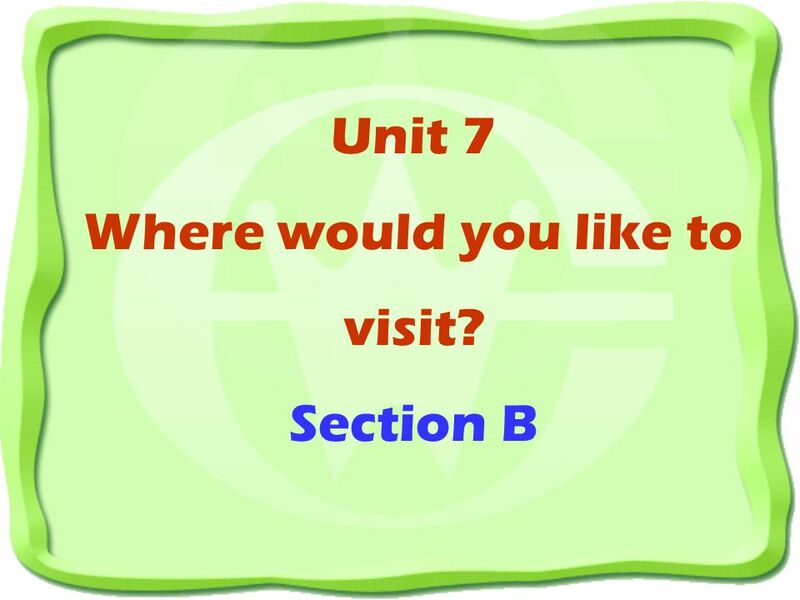 Download ppt "Unit 7 Where would you like to visit? Section B Brainstorm a list of things that are important to you when you go on vacation. 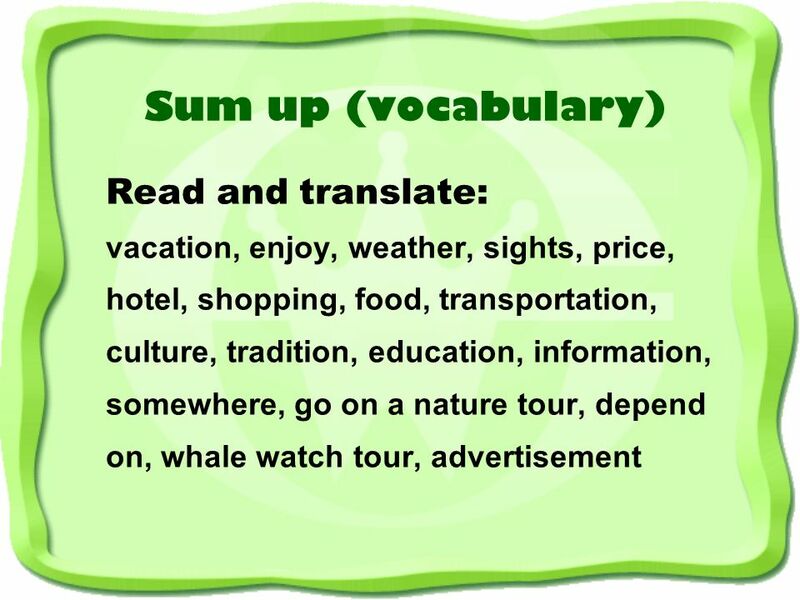 1a weather, sights, price,"
Where would you like to visit? (Section B). If you had enough money, where would you like to go? Id like to ________. 1.Isnt supposed to be very_____? Amy Lisa John Mike Listen and guess I want to travel to a place very fast, because I dont like to spend too much time on it,but the fare is very expensive. Cuba Holiday – Hola Amiga! How are you and your family? The last weeks weren‘t very spektacular, so I don‘t know what I can write. Learning Goals:. Match the pictures to the jobs. Listen and check.